Levi's has recently announced the launch of its new global brand campaign, Live in Levi's. 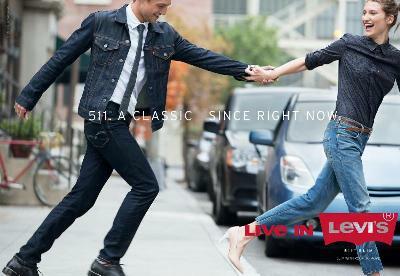 Levi's the leading demin brand has recently announced the launch of its new global brand campaign, Live in Levi's®. The campaign is a creative collaboration between FCB – Foote, Cone & Belding, the House Worldwide and the Levi's. Featuring its new Fall 2014 collection, the campaign highlights the Levi's 511 Slim jean for men, and the Levi's® Revel™ jeans for women, in addition to the iconic products such as the 501 jean, western shirt and Trucker jacket. According to the Chief Marketing officer of Levi’s, Jennifer Sey, “Live in Levi's' is more than a campaign, it's an optimistic new direction that reinvigorates the Levi's brand's soul. We're celebrating the eternally optimistic spirit and iconic product that make the Levi's® brand great and forever relevant."